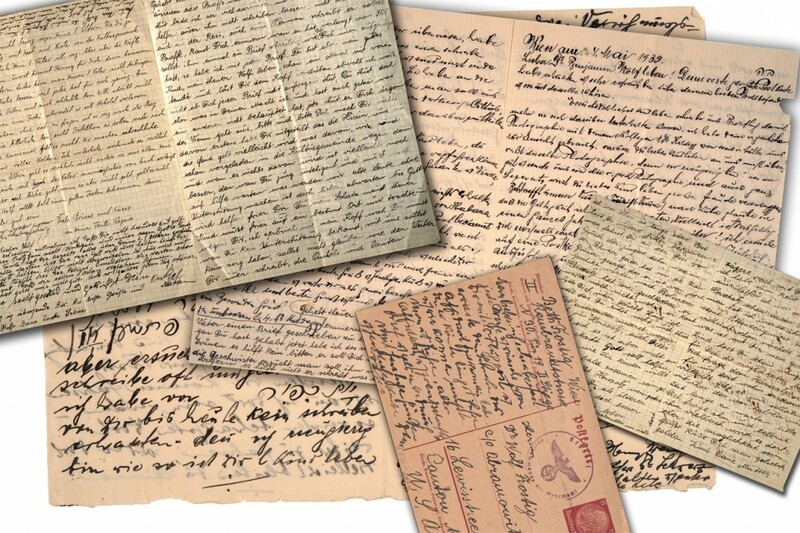 The Vienna Project began in 2004, when Dr. Karen Frostig, artist and activist inherited letters written by her grandparents between 1938-1945, to her father living in exile. Dr. Benjamin Frostig was arrested by the Gestapo in an early wave of arrests targeting Austria’s intelligentsia. He was abruptly expelled from Austria in June of 1938. Translating the letters in 2005, Karen became acquainted with a large extended family she never knew existed, all of whom were exterminated. A journey of return to Vienna in 2006, and reclamation of Austrian citizenship in 2007, gave way to an emerging relationship between the artist and her father’s homeland. The Vienna Project grew out of this process starting in 2009, as a new social action, public memory project. Developed through dialogue as a citizen-led initiative, The Vienna Project was developed as a “process-based” expression of remembrance. The Memorial Project opened on the night of 23. October 2013, preceding Austrian National Day, the commemoration of the beginnings of the Second Republic of Austria. The date conveyed the message that memory is a part of any national identity. The Vienna Project marked the 75th anniversary year of the Anschluss in 1938, when racial persecution officially began in Austria. It concluded one year later on 18. October 2014. Unfolding over the course of one year, the memorial presented as a dynamic series of performative events, dedicated to stimulating fresh conversations in novel formats regarding the history of National Socialism in the territory of Austria. 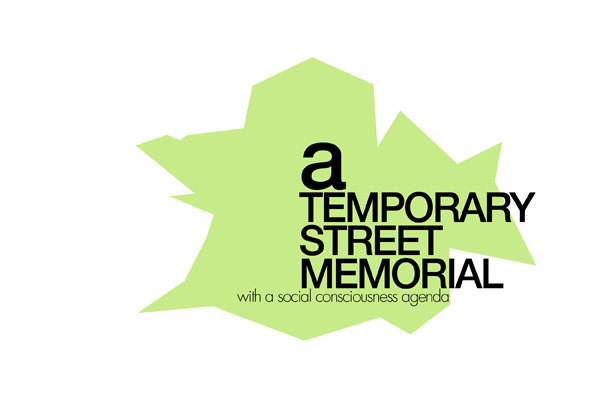 Fusing public memory with participatory methodologies, the memorial project engaged the Austrian public in a communal experience of remembrance. 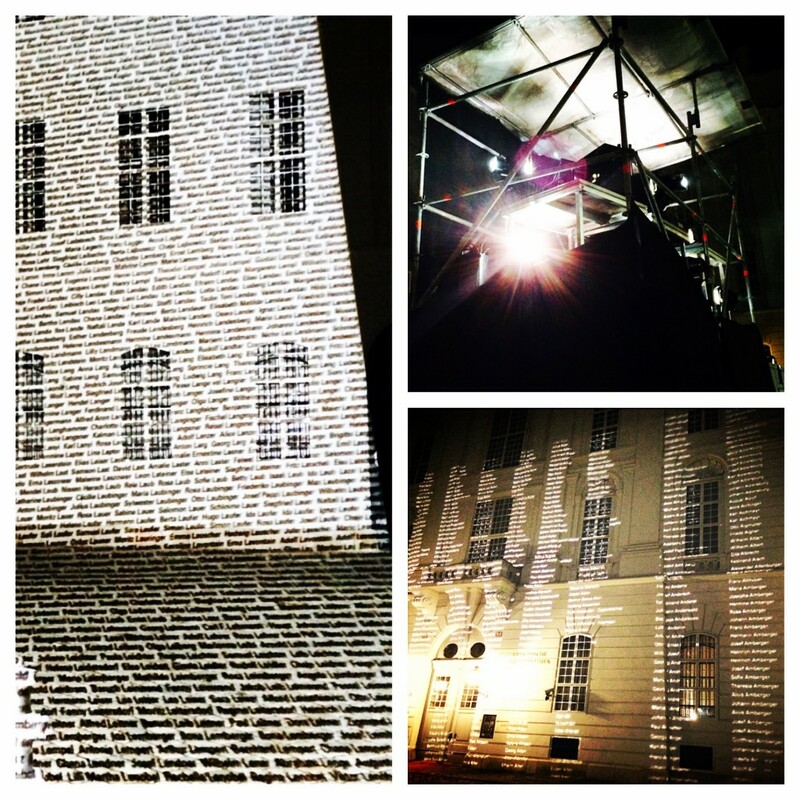 Developed as a hyper-techno production occurring at different sites around the city, the Project featured video projections, performance art, installation art, photography and videography, social media, an interactive web site, plus the introduction of an ephemeral “Naming Memorial” project prepared as digitized scroll slides, projected onto the walls of historic building surrounding Josefsplatz. 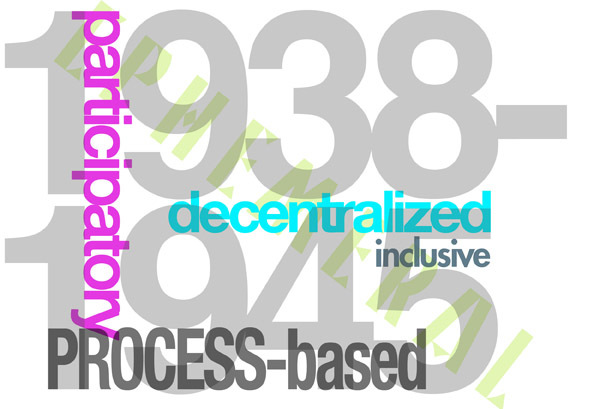 Bridging multiple disciplines: history, archival research, art, new technologies, design, and education, the memorial project is dedicated to bringing the past into the present, preserving the historic record while using interactive methodologies to engage the public in a present-day conversation about civil society. Each discipline makes a critical and equal contribution to the overall design of the project. Scientific research of victims’ names lies at the heart of this memorial project. 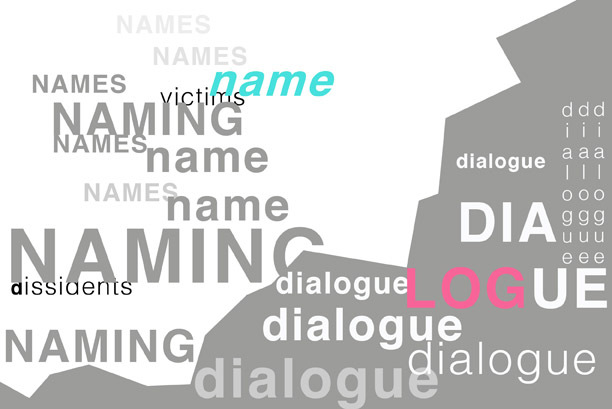 Research produced an inclusive listing of 91, 780 victims’ names of record, representing seven different victim groups of National Socialism, collected from five existing databases. Names were collected from the Dokumentationsarchiv des Österr. Widerstandes (DÖW), dem Kulturverein der Österr. Roma, dem Dokumentationszentrum Hartheim / Oberösterr. Landesar- chiv, dem Slowenischen Wissenschaftlichen Institut in Klagenfurt / Celovec, and the Gsell database. Research was confined to identifying persecuted Austrian victims representing multiple victim groups, murdered between 1938-1945 under National Socialism. Targeted groups included Jewish, Roma and Sinti victims of genocide; the mentally ill and physically disabled victims (or declared so); and homosexual victims, persecuted on grounds of racist ideologies; and communists, dissidents, socialists, Slovenian partisans, and Jehovah’s Witnesses, identified as victims of political persecution. 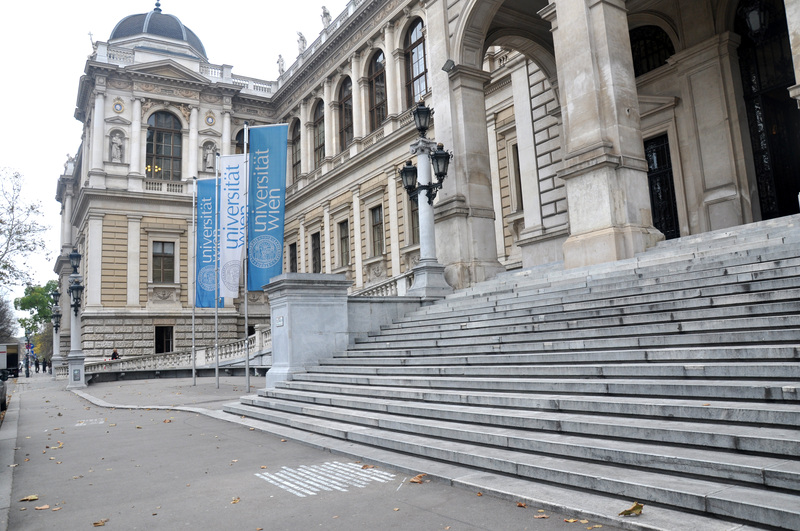 A research seminar, held at the University of Vienna’s Institute for Contemporary History, began a conversation about the 38 sites, where public instances of exclusion, aggression, humiliation, and theft, as well as instances of rescue and resistance began in 1938, taking place between Austrians subscribing to a Nazi ideology and the targeted victim groups. Working with a large pool of sites retrieved from different archives, project researcher Dr. Jérôme Segal identified 38 Memory sites taking into account the historical significance of each site. Representation of sites for each victim group roughly corresponded to percentages for group representation within the larger history. Archival documents, such as photos, letters, police records, court proceedings, recorded testimonies and unpublished academic works were used to support the selection of each site. “Not to forget as we remember” reminds us to not forget the different victim groups and to not forget differences between the victim groups. Bound by the historic record, the memorial delivers memory in engaging formats without distorting the historic record. The project was about “performing the archives,” joining historic rigor with radical artistic intervention to make memory visible on the streets of Vienna. The Vienna Project represented an imaginative configuration of memory that was fluid, dynamic, and temporary. The memorial was developed as a de-centralized representation of murder and genocide that consumed a whole country for a period of seven years. Riddled with poetic surprise, the memorial merged image with text, the names of murdered victims and dissidents with the pulse of a city coming to life at night under the spell of remembrance. The project had multiple components beginning with research and map development. Opening ceremony began with a series of water and bridge projections at the Danube Canal, and closed with a “Naming Memorial” at Josefsplatz at the Hofburg Palace. During the interim months, the 38 Memory Zones located across the city of Vienna, were activated with performance artists, film screening and panels, guided tours, a “Reading Marathon,”and a lively social network platform that included Facebook, Twitter and the project Blog. Distinct from other memorials of comparable size and scope, The Vienna Project education program was developed as an integral component of the overall memorial design. Dedicated to deepening public understanding of National Socialism and the Holocaust, educational programming created new opportunities for personal connections to this period of history. By using 21st century social media-Facebook, Twitter, blogging-we were able to reach youth where they live, where they establish individual identities in relationship to the larger social structure. At the same time, we created learning environments that taught the emotional lessons of the Holocaust, in an effort to raise critical consciousness. By addressing the history directly and concretely, we reinforced the message “this happened here.” By asking the questions, “why” and “how,” we set the stage for conversations about what it means to live in a civil society, to understand difference, and to value tolerance and mutual respect. By creating conversations that included multiple victim groups, we delivered a fresh message about inclusion that did not erase historic as well as present-day differences between the groups. The educational program featured a teaching seminar, performance art programming, thematic guided tours, a reading marathon, and a closing panel presentation at the Jewish Museum.